What is the advantage of (D)o (I)t (Y)ourself ? For me, that is I can tailor-made anything which is created by my own ideas for special purposes. I wanted to make something special for my daughter who is almost 6 years old. The hottest topic was all about the space in her school recently. So I was going to make her an astronaut key ring by using clear glass cabochon and cabochon setting. I put plenty of GS glue onto the flat side of the clear glass cabochon and spread the glue all over the surface evenly by using a plastic stick. The picture should be cut into a size that fit the glass cabochon. And now could be stuck onto the clear glass cabochon. Bubbles might be found in between the picture and the glass cabochon, but it is easy to get rid of them. I pressed and pushed the bubbles gently outwards and the bubbles were disappearing. Then I cleared the excess glue. Please do remember that GS glue is easy to use, it does not bond fingers, therefor, I could remove the excess glue easily. 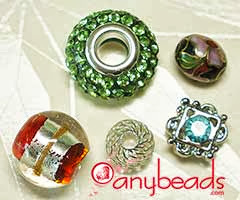 A tailor-made cabochon was done, the next step was stick it onto the setting. Only a few amount of GS glue is needed, excess glue might cause a messy look. Hung it on a key chain, my girl's first astronaut key ring has been done. She loves it very much!!! 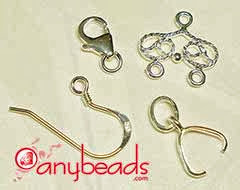 Other two ideas of clear glass cabochon and setting, it can be a pendant of a necklace, a bag zipper, a key ring or any other purpose. That is why I like DIY!